The public-private hospital at Frenchs Forest has been operating for more than two weeks but has come under scrutiny after media reports of staff issues and supply shortages. NSW Health Minister Brad Hazzard admitted private operator Healthscope had underestimated the amount of medical supplies needed at the hospital and was now going "all out" to make sure stock is available. He said another issue arose from staff members, who have come from Manly and Mona Vale hospitals, learning to work with each other. "There are obviously a variety of views but the doctors I am talking to ... are quite sure every day it's getting better and better in terms of the teamwork," Mr Hazzard told reporters at its official opening on Monday. The chairman of the hospital's medical advisory committee, Stuart Pincott, described the new 488-bed facility as "world class" and assured the public that although it was in its infancy, the wellbeing and safety of patients has never been compromised. "We are experiencing an increase ... in the patients who are presenting to the emergency services department and this has created some problems in our rollout," Dr Pincott told reporters on Monday. "But, everything is being done safely and carefully." 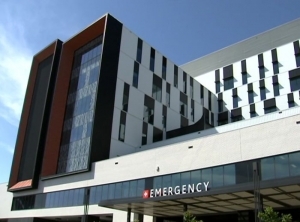 NSW Premier Gladys Berejiklian says although there have been some "teething problems," the $600 million hospital has already completed more than 600 surgeries. Midwife campaign group Friends of Northern Beaches Maternity Services raised concerns about the public-private partnership and the impact it has on public maternity services and the levels of care available for women. "They are grossly understaffed and they haven't been adequately trained or had orientation around the hospital," spokeswoman Helena Mooney told reporters after the launch. "They're (midwives) having to figure out the different machinery whilst the woman is labouring and that's dangerous." Ms Mooney said midwives are "under the pump" and has spoken to some who have left the hospital in "floods of tears." Community group Save Mona Vale Hospital spokeswoman Miranda Korzy claims doctors are threatening to withdraw their services and the public has lost confidence in the hospital. Healthscope chief executive Deborah Latta acknowledges the hospital is working through some issues and apologised for the inconvenience caused.